It's midnight and the moon is full, but Darth Vader isn't scared. OF COURSE I AM NOT SCARED. Nothing can scare Lord Vader! Not monsters or witches or ghosts, and especially not the dark. So what is Darth Vader scared of? 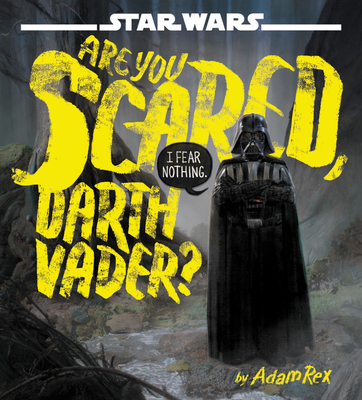 Read on in Adam Rex's hilarious and spooky Star Wars tale to find out! Adam Rex is the New York Times best-selling author and illustrator of Frankenstein Makes a Sandwich. His other books include The True Meaning of Smekday, which was made into the hit animated movie Home; Moonday; and School's First Day of School, illustrated by Christian Robinson. He also illustrated the Brixton Brothers series, Billy Twitters and His Blue Whale Problem, Chloe and the Lion, and How This Book Was Made, all by Mac Barnett, and Chu's Day, by Neil Gaiman. He lives in Tucson, Arizona. Visit him at adamrex.com or follow him on Twitter @MrAdamRex.